The end of year calls for an annual revo’lution reflection! ‘Tis the season! 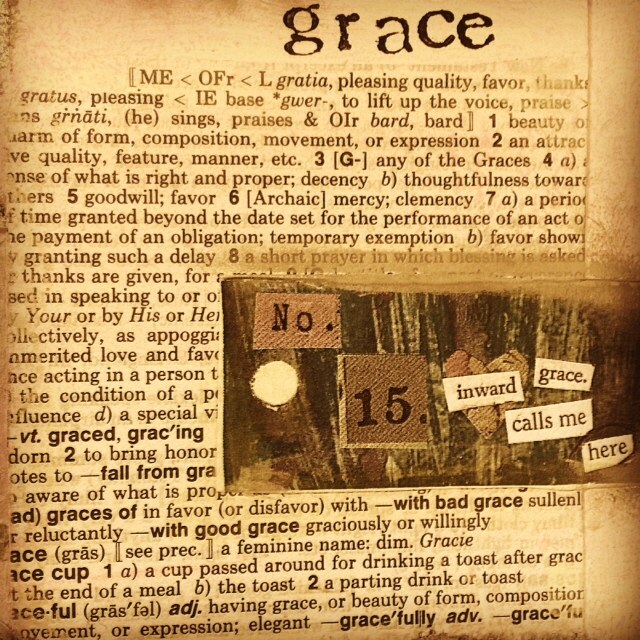 I continue to find this creative ritual so very valuable… and year #6 is no different… I treasure what each intention has taught me & inspired throughout 2014 with life affirming lessons in hope, renewal, choice, and acceptance. 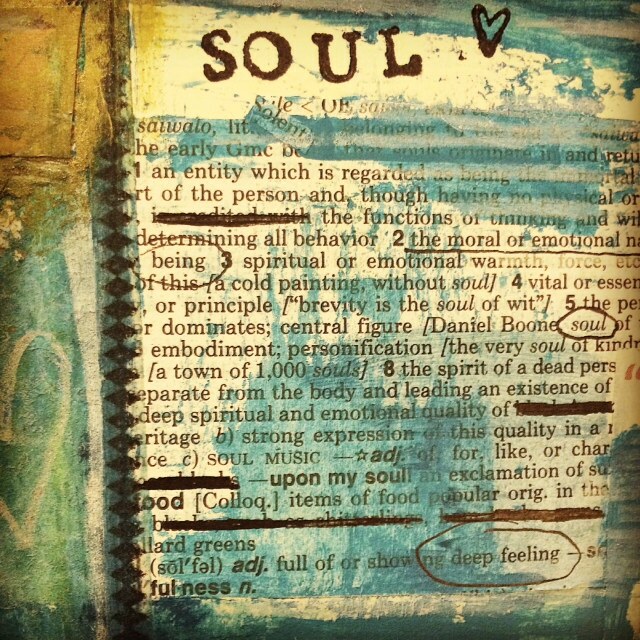 What were some of your 2014 intentions and how did they inspire your year? A year or two ago I remember seeing Quinn McDonald‘s awesome 35mm Slide Accordion Journal on her blog, as well as this mention about her slide mount journal being featured in the premiere issue of the Cloth Paper Scissors’ art journaling mag Pages. Great idea! Making my own has been on my creative to-do list ever since and I finally spent some time creating one. The process was lots of fun! It’s also a great way to re-purpose any old, unused, and unwanted slide mounts into a miniature book! 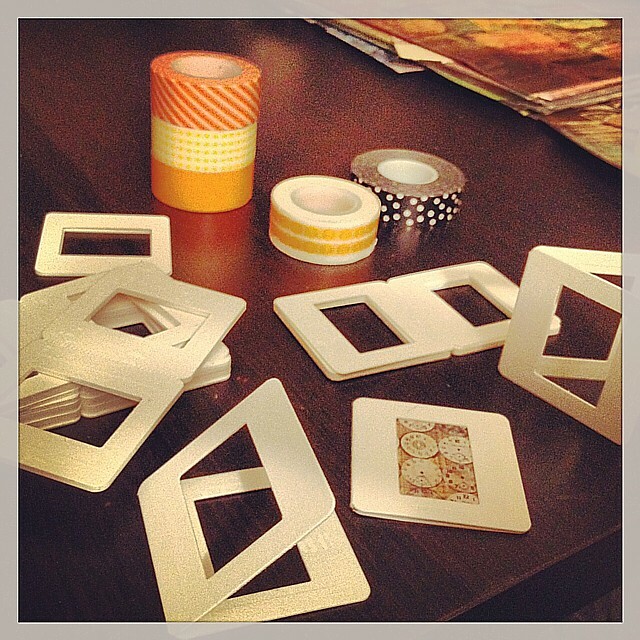 Supplies I used to get started were some empty plastic slide mounts, paper tape (as well as masking tape), and a variety of miniature images, collages, and words to glue inside each mount. Using some of my Lost and Found idea-o-logy paper stash came in handy for the background because each page is doubled sided and could be seen on the front and back in the mount’s center. Using some paper tape on one side and masking tape on the other (just to experiment), I attached each individual mount together. The tape created a sturdy, flexible binding between each slide for the book’s accordion style. I then used a variety of my favorite alcohol inks to add color to each slide. The plastic, smooth texture of the mount’s surface made working with the alcohol inks super easy and left a nice look that dried really quick. 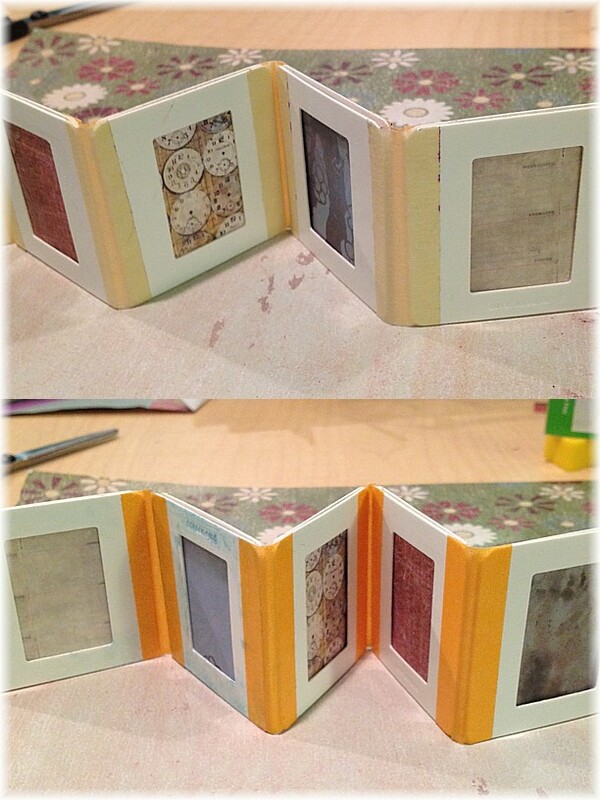 With some sandpaper and a sharp metal tool, I distressed some areas of the book after applying the alcohol ink. I also accented the mount edges and in between each page with a gold paint pen. 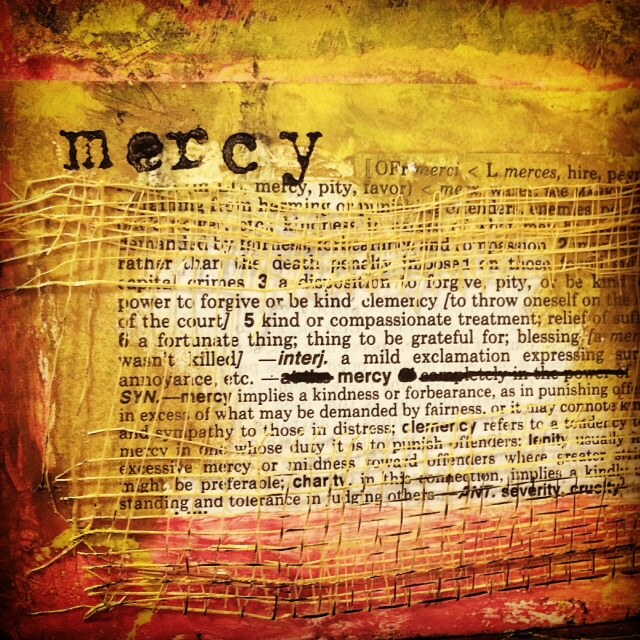 I think I’ve made my first Creative Pay It Forward gift to send to someone on my list in 2013! Yay! Thank you to Quinn for the inspiration to try this out. I look forward to making a few more! In just about two weeks, the second round of workshops for the online art-making community 6 Degrees of Creativity will be coming to a close after our six months together. This time full of creative goodness has really flown by! 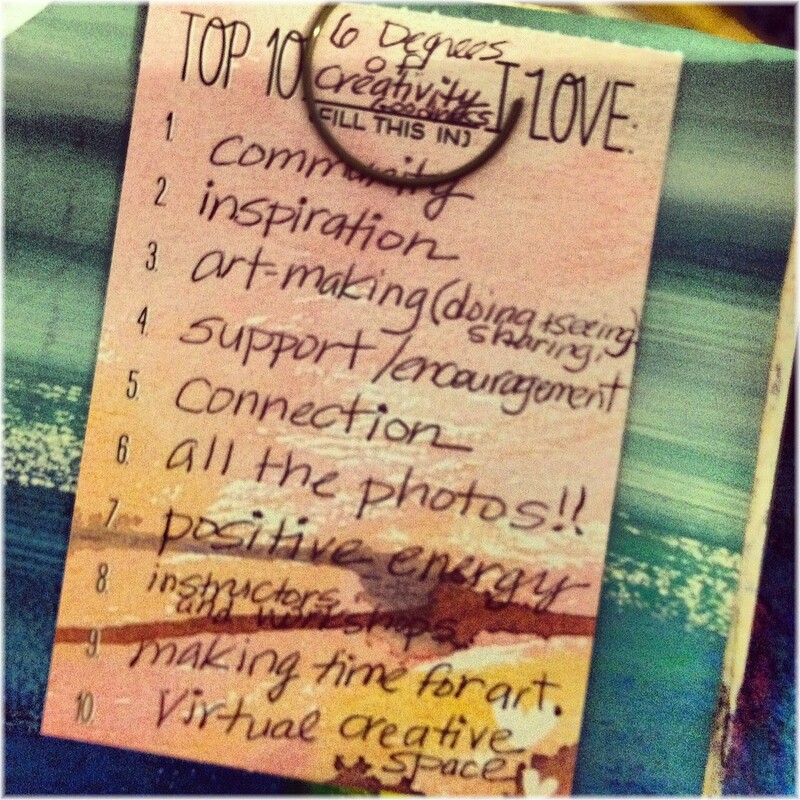 Here’s some “Top 10 6 Degrees of Creativity Goodness I Love” (in no particular order!) created from one of my SMASH Pads. Thank you to everyone who participated in this offering, especially to the Instructors of 6 Degrees of Creativity 2: Hannah, Kelly, Sara, Fiona, and Magdalena who brought so much inspiration, encouragement, and connection with each of their workshops. Lotsa fun in the positive spirit of community, collaboration, and creativity! 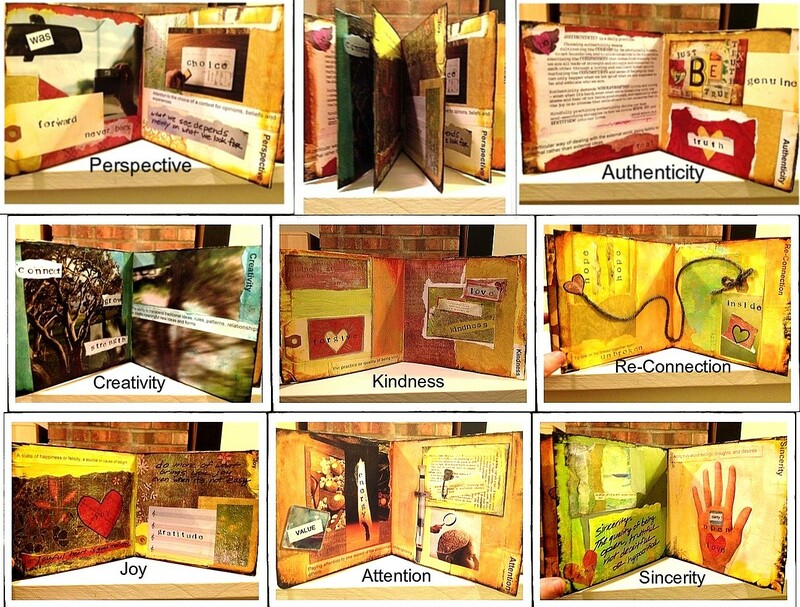 Throughout my e-workshop in 6 Degrees of Creativity 2, I’ve worked on a variety of gluebooks including my twentytwelve on the go adventure file folder gluebook documenting my 2012 fun, a brown paper bag gluebook, and just finished another file folder gluebook dedicated to 6 Degrees of Creativity. It includes paper, notes, & mementos from community members or creative goodness inspired by the community. Reflecting back on Creative Goodness for Gluebooks and member posts or images, it’s been such an artful journey about the different ways and ideas art journaling in the form of a gluebook can be used: on the go, in celebration of a special moment, or to focus on a meaningful theme or personal topic. It has also been neat to see something as simple and ordinary as a file folder or paper bag be transformed into bookmaking art. Equally fun was to learn more ideas about what to use to glue and create for the outside cover, the inside pages, or what to stash in gluebook pockets. One of my favorite parts of the 6 Degrees of Creativity 2 gluebook e-workshop was the paper stash swap and gluebook page exchange many community members participated in this past August and November. 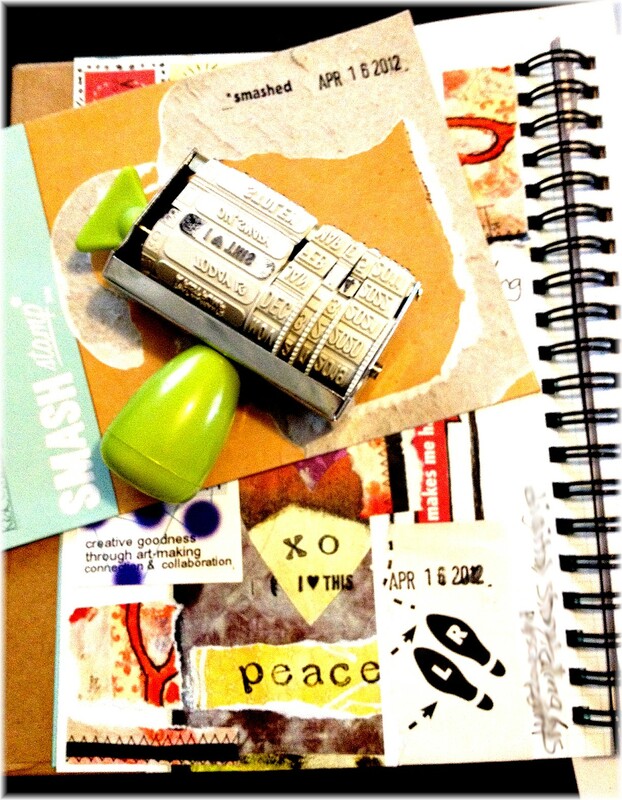 With much gratitude, I’m still using the fun and artsy paper goodies from the swap in my gluebooking! The swap & exchange was also a wonderful way to further connect to others from the workshop when making our art. With 2013 approaching quickly, I’ve started to get a new SMASH Book (the Doodle Red one!) all ready to use for new year art journaling. One of the first things I glued on some SMASH tabs and dividers I’ve collected, were these playful paper elves from Lani Gerity. Very nice! Now I have some happy tabs! Thank you! Wishing everyone a joyful holiday full of creative cheer! Ready for some revo’lution reflection & creation! I’m looking forward to posting more soon…. 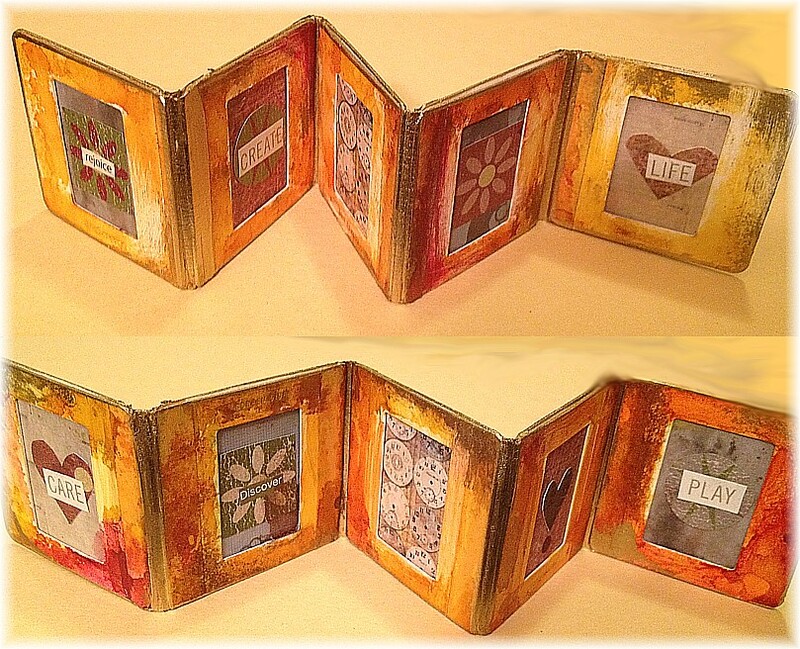 Here are some altered book pages I’ve been working on for My Beautiful, but Altered Brain series. 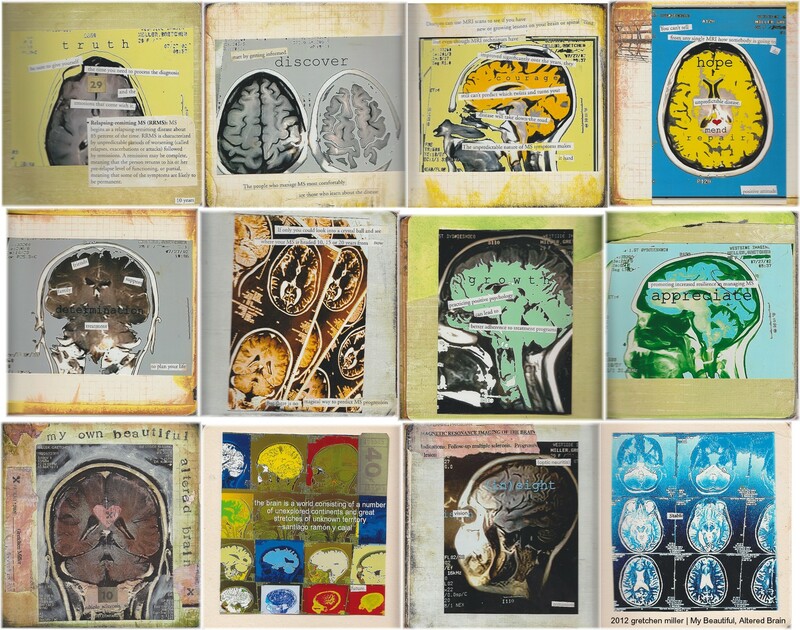 I transformed a children’s board book with some of the photos I had made of the digital art I created of my MRI scans with some text content from the recent issue of Momentum Magazine, the quarterly publication of the National Multiple Sclerosis Society. 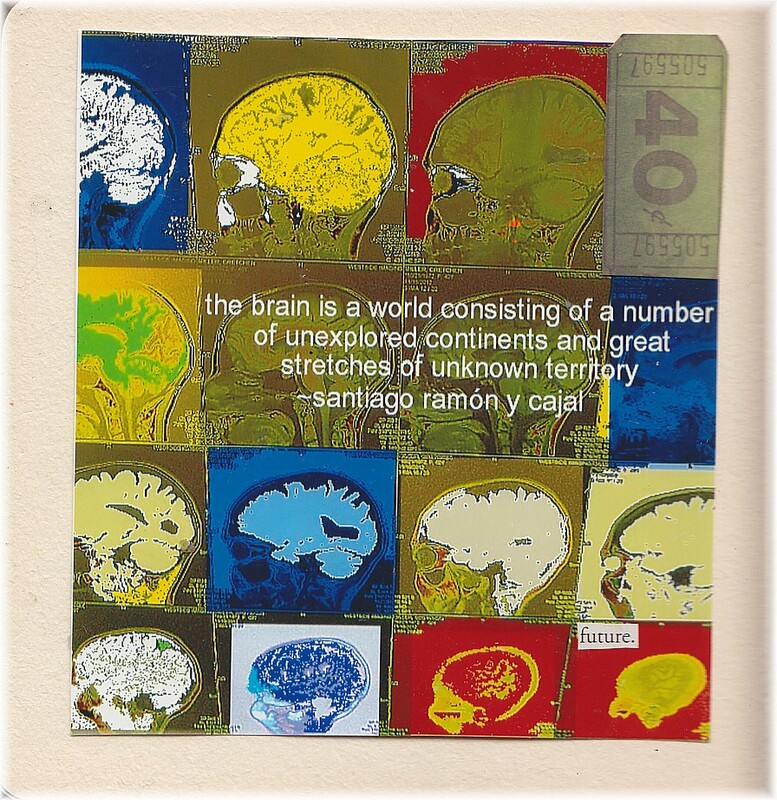 This altered book includes 10 years of my MRI scans and shares my experience. During my neurology appointment this month, I gave my neurologist one of Elizabeth Jameson‘s beautiful catalogs that I received from her a few months ago to keep sharing her inspiring work and the grateful impact her art has had on me throughout this year. 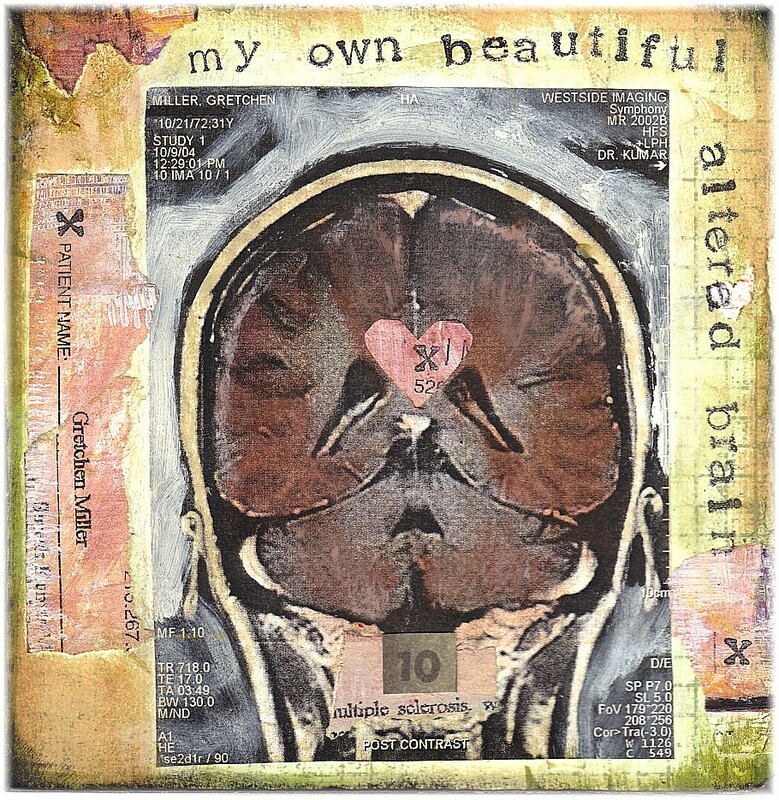 My altered book is dedicated to Elizabeth and her reminder that “the brain- even a brain with a disease- is beautiful, complex, and intriguing“. A bit of gluebooking fun with magazine photo collage! I always find collecting, saving,and finding new magazine photo collage material a creative activity that is lots of fun and a relaxing process. For me it’s one part scavenger hunt through unwanted magazines, catalogs, newsletters, etc., the other an arty undiscovered treasure jackpot (!) of creative stuff waiting to be glued down and re-purposed. 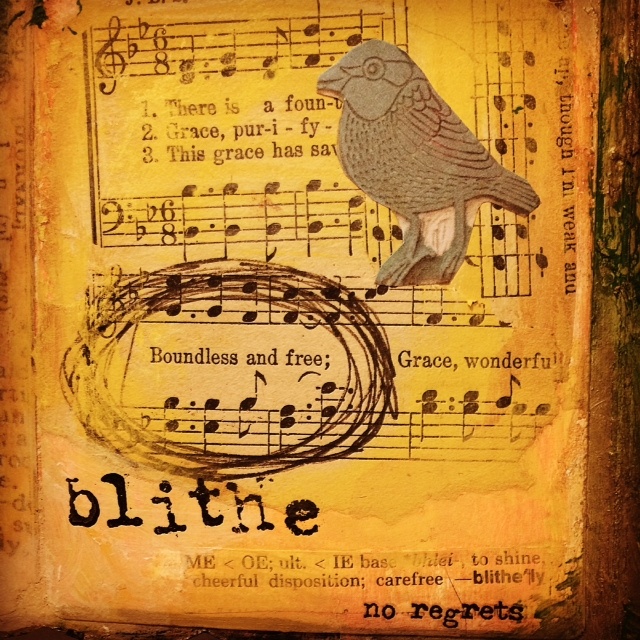 The joy continues when I am able to take what’s been found & gathered to create with it! I just finished up my video tutorials and PDF download for my 6 Degrees of Creativity 2 workshop Creative Goodness with Gluebooks. It was a lot of fun to put all the content together and get it ready for its July 1st debut. 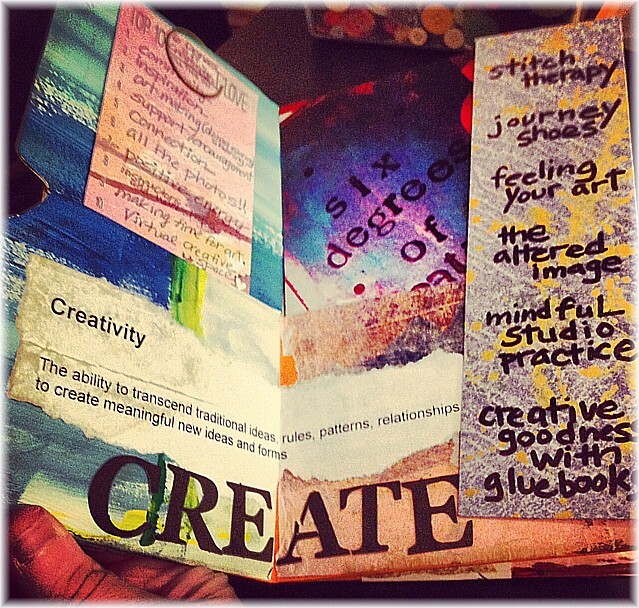 This online workshop not only includes an introduction to making gluebooks & gluebook prompts to work on, but also an August paper stash swap and November gluebook page exchange with other workshop participants. Gluebooking Fun Begins in July! In preparation for this workshop I’ve been collecting even more paper stuff to use as a way of documenting my activities, interests, plans, and inspirations through the concept of gluebooking. I’ve been a lot more mindful of the paper around me (even the most mundane and ordinary scraps, notes, & clippings) and how I can transform these into sharing an experience, memory, feeling,or something special I want to remember through gluebooking. One of the gluebook spreads I worked on yesterday included a lot of the findings I brought back home from my travels last week such as local maps, a farecard ticket, baggage tags, images from a visitor guide, handmade paper, and more. It was a creative way for me to continue to process the experience, as well as create a meaningful representation through all the various things I saved. Stash Swapping & Page Exchanging! I am so looking forward to seeing what gluebooks & gluebook spreads are created by others involved in this workshop, as well as exchanging some gluebook pages and stuff from our paper stash! Lots of creative goodness! The creative goodness doesn’t stop with this workshop either: there are five additional workshops and instructors part of the 6 Degrees of Creativity 2 experience! Yay! 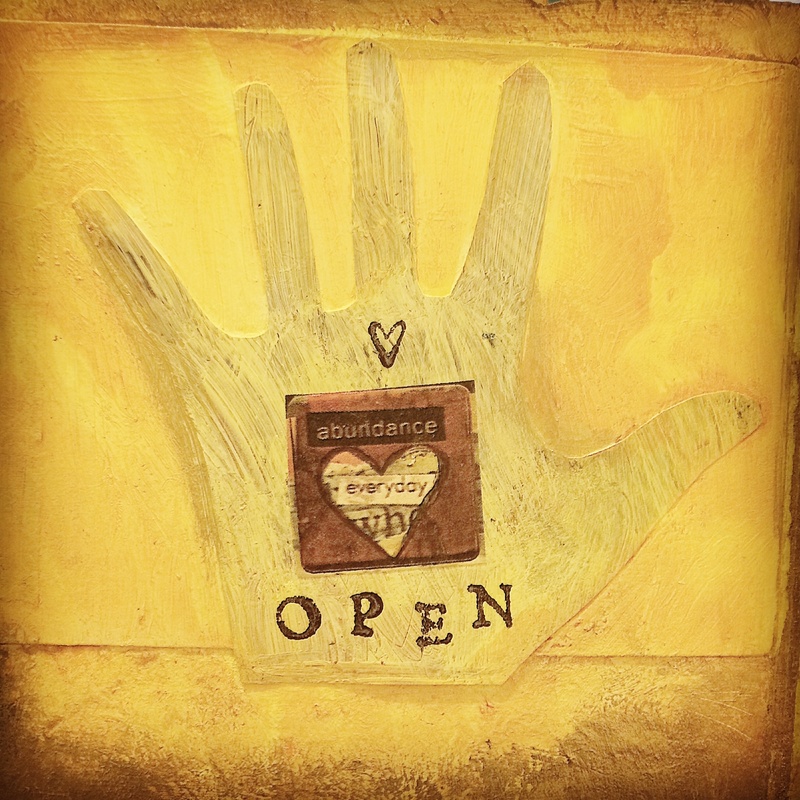 Join us starting in July for our 6 month virtual art making adventure & creative community. Registration is open until June 30, 2012. 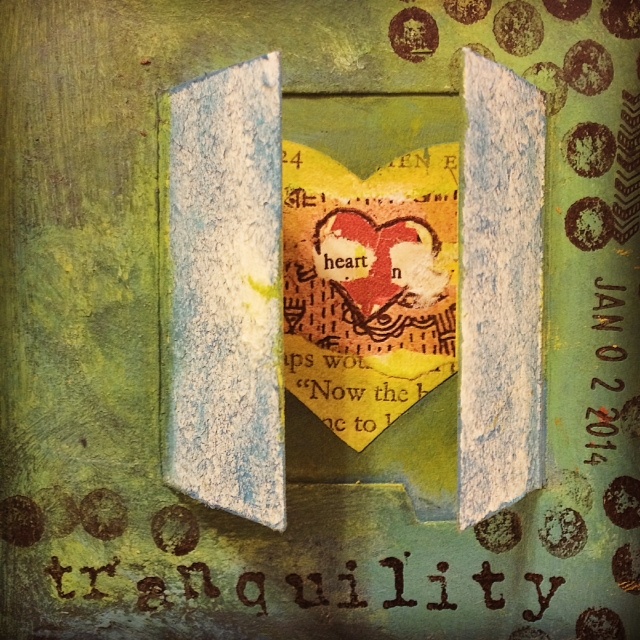 Today is Instant Inspiration Monday, being led by Nicole Levesque over at her blog Inner Expressions Art Therapy. I love this collaborative concept she has created promoting creativity, the use of social media, and the fun of collaboration! Every Monday Nicole invites the blogosphere to “share an image of something that sparked your creativity or a project you are currently working on”. You can blog about it, upload a photo with Instagram, or share your inspiration through other photo sharing sites such as Photobucket or Flickr. Wonderful! My contribution to Instant Inspiration Monday is my growing love of anything SMASH related. My SMASH inspiration started with a few stickies and a SMASH pen (one end pen + one end glue stick = brilliant! ), but this week-end I added a SMASH mini-book, pad, and stamp to my growing collection for creative fun. 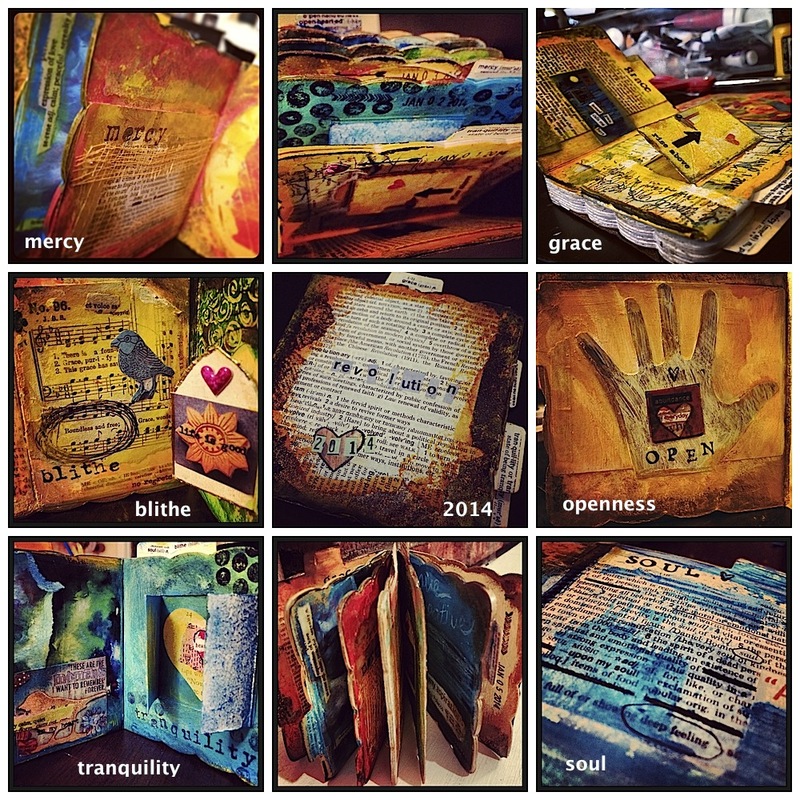 My combined interests in collage, creating portable art through artist trading cards, collecting paper, and making handmade altered books for art journaling led me to learn more about the idea of gluebooks. I am excited to add SMASH to this mix too! 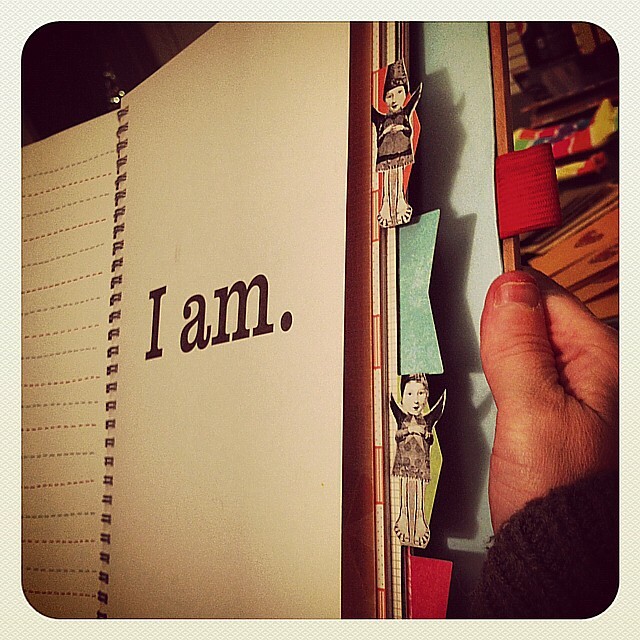 I am inspired by the concept of gluebooks to creatively share experiences, memories, and ideas through the daily collection of paper related discoveries that can then be transformed into art!